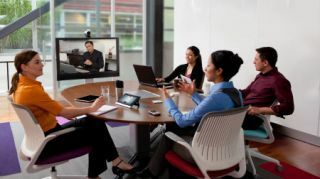 Citrix is aiming to extend its reach over the webcasting market, bringing out a self-service, subscription based webcasting tool, GoToWebcast, that it says can handle up to 5,000 attendees using desktop or mobile devices. The move is the latest in its effort to establish itself as the "go to" company for business collaboration services. It now has a portfolio of collaboration tools to give it leverage in a broad market. Citrix has also released a beta version of GoToWebinar with HDFaces – its high definition screen service - supporting its plans for up to 1,000 attendees. This follows the provision of HDFaces for up to 100 participants in GoToWebinar and GoToTraining sessions. "It's becoming ever more important for organisations to find new and engaging ways to connect with a geographically distributed audiences," said Bernardo de Albergaria, VP and GM of SaaS Products and Markets for Citrix. "Video is proven to make meetings more productive and attendees more involved and attentive."